Responsible Pest Control Ahwatukee delivers GUARANTEED Ahwatukee Pest Control FRIENDLY to family & pets! Eliminating Scorpions, Wolf Spiders, Black Widows, Roaches, Ants, Earwigs, Crickets, Termites, Bed Bugs and other desert pests. Responsible Pest Control‘s products and applications are family & pet friendly! All services we provide are totally GUARANTEED so you’re always protected – no matter what! If you have a bug problem between regular services, just give us a call and consider it done! Delivering EFFECTIVE Ahwatukee Pest Control with RESPONSIBLE methods for the safety of your family and pets! Your first service is a “Clean Out” to eliminate existing pests inside and outside of your home, and yard. This service generally takes about an hour. After we’ve eliminated all pests inside your home, we focus on CONTROL from the OUTSIDE! Monthly or Bi-monthly exterior perimeter yard and fence treatments PREVENT bugs from coming back and getting inside. The inside of your home is always GUARANTEED pest free with regular Monthly or Bi-Monthly service. If for any reason you want the inside of your home treated, just let us know! Interior treatments are FREE upon request. At Responsible Pest Control we focus on treating areas where scorpions or bugs live and breed. Effectively treating cracks, crevices and voids inside your home and yard that harbor scorpions and other pests! In Ahwatukee AZ, around South Mountain and the Foothills pest control must be effective against SCORPIONS! Scorpions are the main pest concern in Ahwatukee and around South Mountain Foothills because this area has a very high scorpion population! Responsible Pest Control specializes in effective Pest & Scorpion Control in Ahwatukee with products that kill scorpions themselves… Not just the bugs they eat! Unlike most Pest Control products that only kill scorpions when they’re wet, Responsible’s Scorpion Control service keeps killing scorpions for a full month! 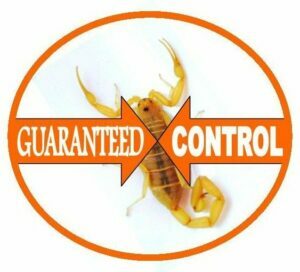 We highly recommend MONTHLY scorpion Control services because they don’t wear off between treatments or leave your home vulnerable to re-infestation. 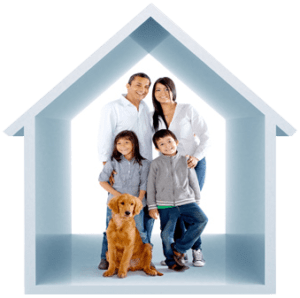 Responsible Pest Control Ahwatukee AZ – Making happy customers in Ahwatukee Foothills, South Mountain, Phoenix, & surrounding areas.